Because of his work inspiring inventors and other revolutionary thinkers, the Boulder Daily Camera has referred to him as the “Father of Invention”. 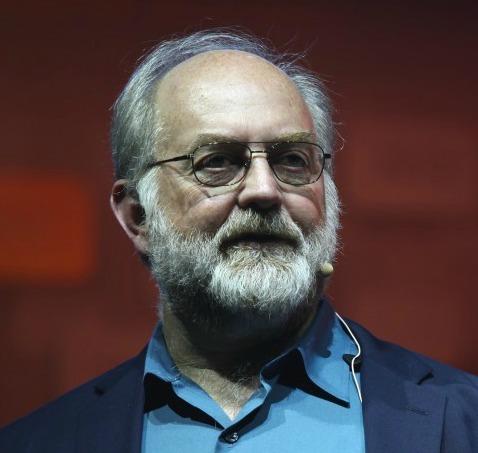 The Denver Post and Seattle Post Intelligencer have referred to him as the “Dean of Futurists”.Before launching the DaVinci Institute, Tom spent 15 years at IBM as an engineer and designer where he received over 270 awards, more than any other IBM engineer. He is also a past member of the Triple Nine Society (High I.Q. society over 99.9 percentile). Thomas has been featured in hundreds of articles for both national and international publications including New York Times, Huffington Post, Times of India, USA Today, US News and World Report, The Futurist Magazine, Morning Calm (in-flight magazine for Korean Airlines), Skylife (in-flight magazine for Turkish Airlines), ColoradoBiz Magazine, Rocky Mountain News, and many more. A key differentiator with professional speakers is the audience experience. Thomas not only comes to each talk loaded with provocative knowledge and tantalizing visuals, he also includes just the right amount of humor, motivation, and topical trends in a way that are both immediately useful as well as enticingly entertaining. Cutting Edge Thinking: Thomas pushes far beyond the limits of conventional wisdom, often talking about extreme futures and building intriguing “what if” scenarios as a tool for discussing far reaching implications. His presentations not only stretch the imagination but also challenge current thinking. Engaging Delivery: Tom’s thought-provoking dialog and intense delivery enables audience members to grasp new possibilities and concepts while comprehending the salient touch points he presents. New ideas have a way of infusing audiences with energy and Thomas has the uncanny ability of touching on the most poignant trends, invigorating everyone who attends. Custom Tailored Research: All talks are custom tailored to mesh with the goals of the event organizers as well as those who attend. While his mind may have been traveling to the far reaches of the future to put your presentation together, he’s very much present, ready to tackle the immediate challenges your audience faces, when he takes the stage. Global Insight: Forever a student of the world, as his talks take him to many countries around the earth, Tom has developed original insights and first hand experiences that go far beyond the conventional stories of others. His talks provide up to the minute worldwide scientific data along with expert global trend forecasting. Positive and Uplifting Themes: While it’s easy to wallow in the trouble filled underbelly of life, Thomas sees every problem as an opportunity and keeps all of his talks positive and upbeat, steeped in the wonderment of possibilities. These opportunities are every cloud’s silver lining, and we truly do have spectacular futures and fortunes that lie ahead.